This is called Super Quick Minestrone, but it probably should be called Not Overly Time Consuming Minestrone instead. “Super quick” feels like a bit of an exaggeration. There is a fair amount of chopping and babysitting of ingredients in this recipe. I wasn’t expecting to microwave a can of Progresso and call it a day or anything, but I guess my concept of “super quick” differs with the author’s. Semantics aside, it still is a very lovely minestrone and the only one I bother to make these days, so that has to count for something. You may notice in my picture that the zucchini looks a lot like green beans and that the shell shaped pasta is not a tube shaped pasta. 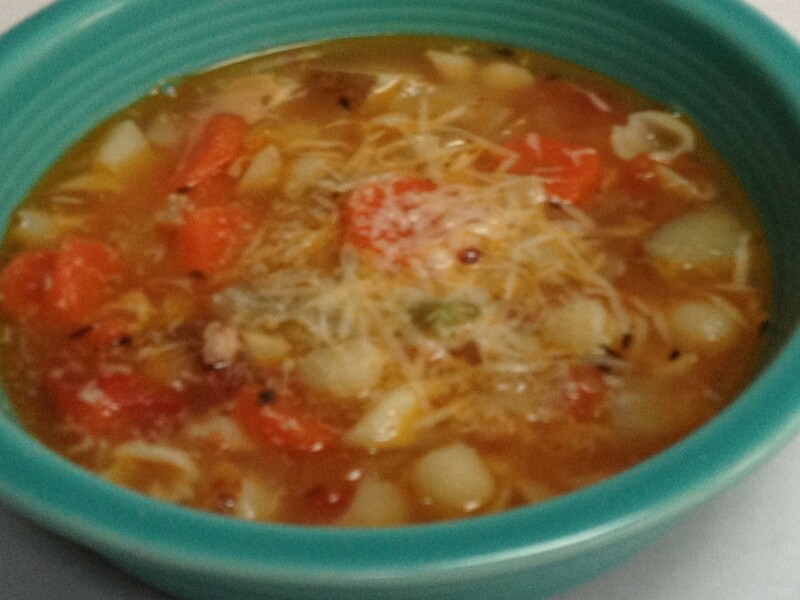 It is also a very forgiving minestrone which is open to improvisation and substitution. However, I do strongly recommend sticking to the pancetta if possible. 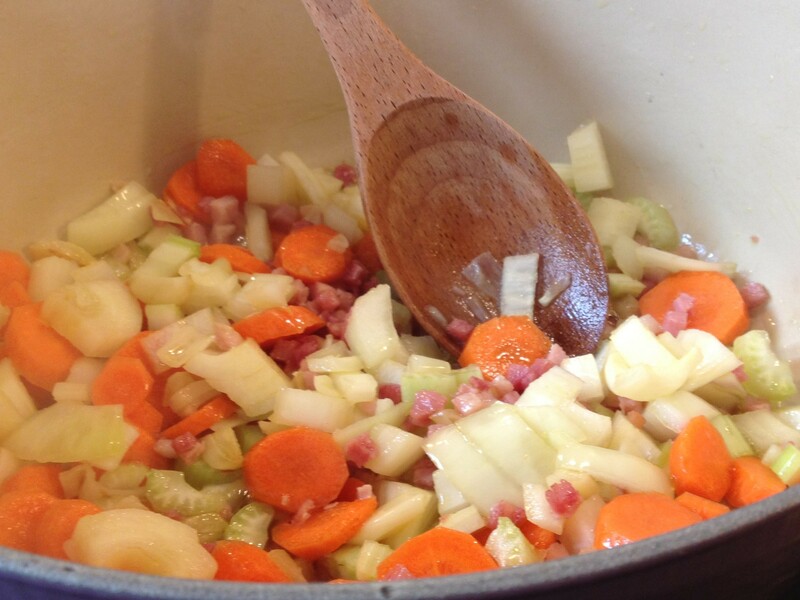 This entry was posted in Main Dish, Side Dish and tagged easy minestrone soup, minestrone with pancetta, super quick minestrone soup by Mom Mom's Apron. Bookmark the permalink.